In Town for the Rose Parade or Rose Bowl Game? Have Friends and Family Subscribe to Nixle for Alerts! Visitors in town for the parade or big game? Have a friend staying at one of our local hotels? Nixle is a great resource for those living in town or visitors to the area. The two major agencies responsible for Tournament of Roses activity both have Nixle accounts and share valuable safety information with the public. The Pasadena Police Department and the Los Angeles County Sheriff's Department, along with other local police agencies like Arcadia, Burbank, and South Pasadena, all use the Nixle platform for instant messaging. We would like to encourage everyone, including those visiting the area, to take advantage of these services and subscribe to local public safety before the need arises. 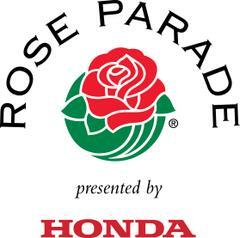 A simple method to subscribe for Nixle alerts regarding the Parade or Rose Bowl is to text "ROSEPARADE" to 888777. For those in Arcadia, text either 91006 or 91007 to 888777 and you will be included in any emergency alerts sent by APD. Check with your host or concierge for the local zip code for your area hotel in neighboring cities to be included in other area alerts. You can also download our smart phone app for links to other information and services from the Arcadia Police Department.